Many homeowners ask us about sliding panels in Charlotte and the recent surge in popularity. Panel track blinds are not brand new. They have however, quickly proven to be a new staple in the world of window treatments, as opposed to a passing fad or trend. To better understand the reason for the recent spike in market demand, you have to first know more about the product. Just like it sounds, this style of window covering is a single panel that slides open and closed on a track. Think of it like a sliding glass door, made of a material that offers protection from UV rays, while still allowing diffused sunlight into your home. It is a unique look and exciting alternative to traditional window blinds. This style of draperies is an ideal way to cover up sliding glass windows, patio doors or other large areas of glass, without traditional draperies or blinds. Too many homeowners think that their only option is vertical blinds and this makes a great alternative to the old standard. One of the great things about having large windows is the ability to enjoy the panorama. However, many window coverings still block some of the glass, leaving you with a partially obstructed view. Sliding panels can be moved completely to the side, so you have nothing but a wide open vista. Panel track blinds are also an ideal option for creating a sleek and modern look. Few other window treatment possibilities provide this same level of sophisticated elegance, while still retaining a touch of informality. This creates the perfect balance for the interior design aesthetics of your home. They are also the perfect way to create a ceiling mounted room divider. Provide some division and privacy without a permanent wall. Keep the interior of your home softer and modern looking with a retractable divider. 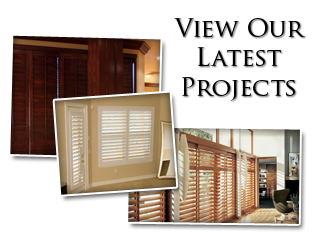 By calling on the pros here at Sweet Shutters and Shades, you can set up a time for your free in-home consultation. 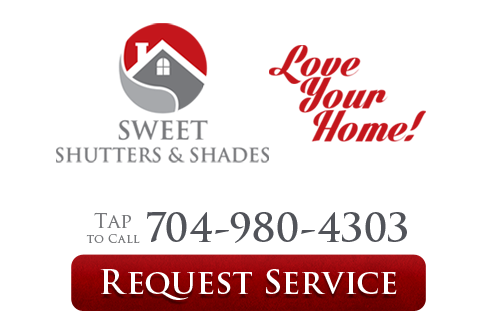 This enables our Charlotte window blind company the opportunity to tell you about your choices and answer any questions that you may have about our window treatments. We bring the store to your door and can show you how samples would look, right there in your home. If you are looking for sliding panels in Charlotte, NC then please call 704-980-4303 or complete our online request form.